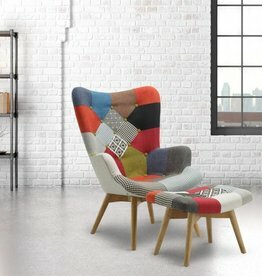 This bright and colourful piece features a unique patchwork fabric and complimentary wooden legs. Complete the look - Pair the Sloane medium sofa with the Sloane armchair and stool to add a sophisticated contemporary look to any home. Great service - lovely sofa worth every penny.